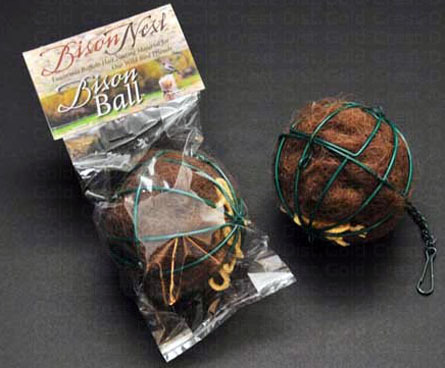 Wondering how to get birds to nest near your home? Finding suitable nesting materials can be a challenge for birds in early spring. 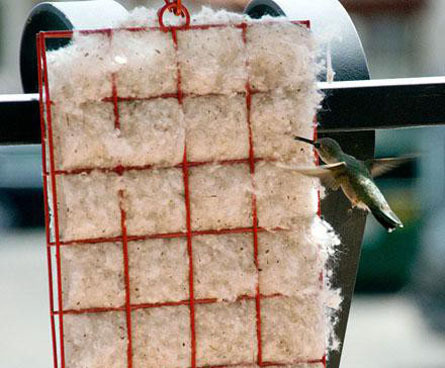 With just a few minutes and a couple of dollars, you can encourage neighborhood birds to make their nests nearby. Some birds, like hummingbirds, cardinals and orioles, can't be tempted by beautiful bird houses. A cardinal bird house is not certain to attract cardinals and even well made hummingbird houses aren't always successful at attracting hummingbirds; however, like most birds they build their nests from lightweight materials they find nearby. If you help provide the nest-building materials they need, you might be surprised to see what birds nest in your yard this year. 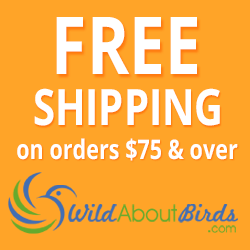 It's easy to use what you already have to supplement twigs and grass that birds might find in the wild. From yarn scraps to dog fur, gather your supplies and get started on these creative DIY ideas! Don't worry — if DIY projects aren't for you, we also sell nesting materials. Finding nesting materials can be a challenge for birds in early spring. You can help backyard birds make their nests by combining unused suet feeders with easy-to-get nesting materials that songbirds will love! Thoroughly clean your suet feeder. Fill it with fuzz from a throw rug, loose pet hair or yarn. Pet fur is a personal favorite because it's a natural nesting material that birds might normally use. 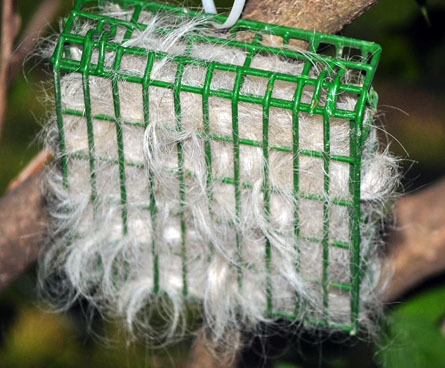 Hang the suet feeder back up and see how quickly the nesting birds find your fur-filled basket of building materials. Find an empty onion bag, used stocking or other loosely-gathered bag. Buy a roll of yarn from a craft store or thrift store. Both people and birds like bright colors, and it will make it easier to find the nests later, so go ahead and get that bright pink or yellow yarn. Cut the yarn into random lengths. It doesn't matter if the yarn is 1" or 2" long, so cut different lengths. Just make sure the pieces aren't too long for small birds to carry. Wad the yarn up and stuff it into the bag. Don't worry if it looks good or is perfectly balanced – the birds will get the yarn out! 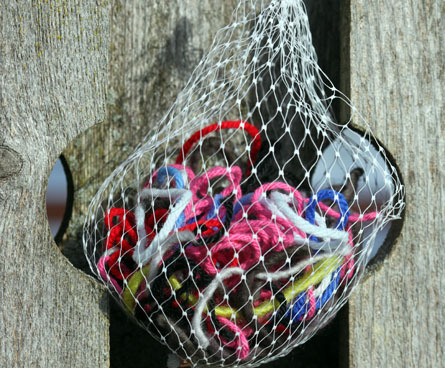 Hang the bundle of yarn from a nearby tree or on your fence. Watch as nesting birds take the strings and fur to make their homes (if you are really lucky, you might see those bright colored strings in a nearby nest). 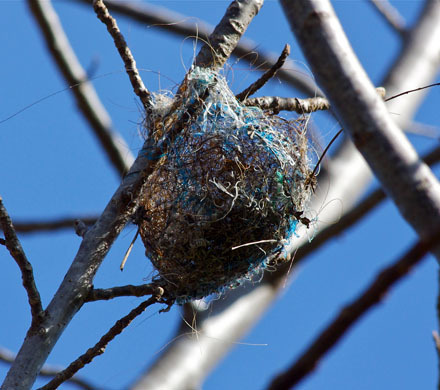 Whatever you decide to do, providing nesting materials near your home can only help neighborhood birds. 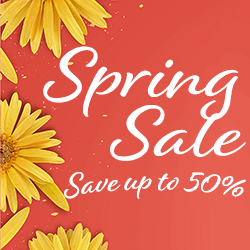 So be creative, and have fun watching the birds fly off with their new nesting materials to home they have made, or you have provided for them. Photo Credit: Yarn photo by WildAboutBirds.com photographer Judy_NMMI. minicooper93402, jeffreyw, cc.